Isherwood was a master of impressionism, he was able to capture a scene with the minimum of brush strokes and this is a fine example of what could be created. 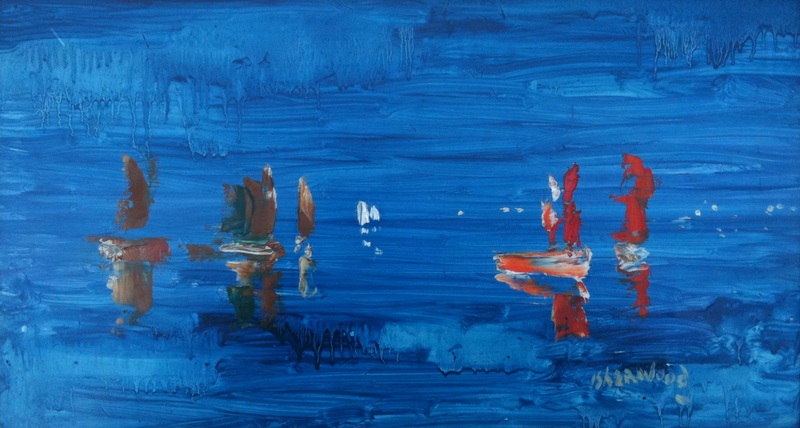 The blue background portrays not only the sea, but also the sky. There is the mearest hint of a horizon. 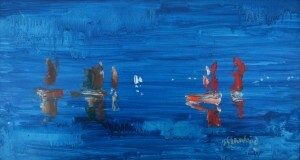 The Yachts reflecting in the water using just flashes of colour - red, brown and white. Clever use of size to show us foreground and background. The painting is signed on the front to the bottom right. The title is on the rear along with his mother’s name – Lily. A cross is also painted and so is a price of 25 gns (guineas).